"I love suede shoes, even when it rains. They mold to the feet, becoming increasingly comfortable wear after wear. 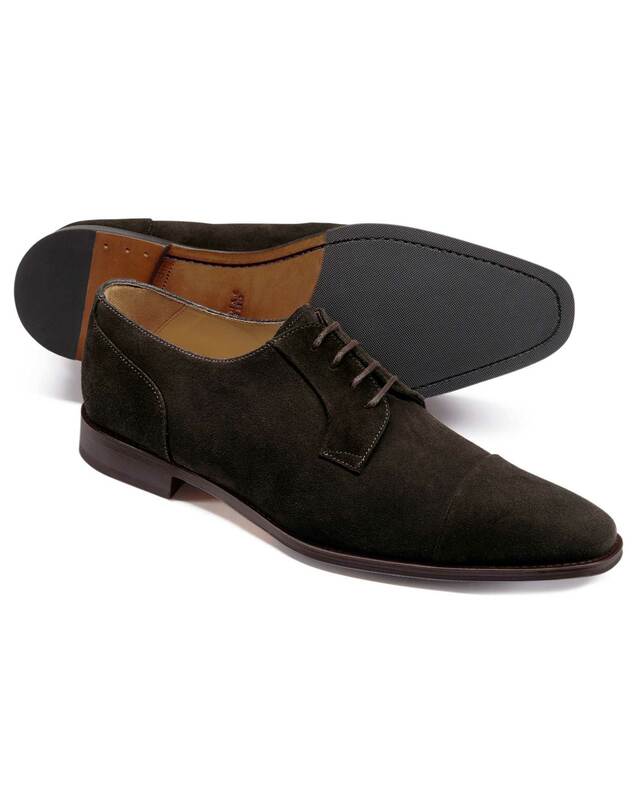 Pair these suede Derbies with jeans for an evening out, and enjoy the safety of the non-slip rubber soles." "Modern square-toe suede Derby shoes made with half leather and half rubber soles for improved grip."